Heritage of the English aristocracy has left Biarritz with one of the oldest golf-courses in Europe, the "Golf du Phare" , created in 1888. What makes it special today is that it is located right in the town centre in a stunning location with the Atlantic ocean on one side and the mountain backdrop. Exactly 100 years later, the Biarritz-Bidart International Training Centre was opened, the only complex of this kind in Europe, an expert facility in a superb setting overlooking the ocean. Covering over 14 acres along the coast it offers all the techniques necessary for amateur and professional players to improve their golf, with a training workshop including a video, and a nine-hole golf route. Today, there are ten other greens within a 15 miles radius of Biarritz. 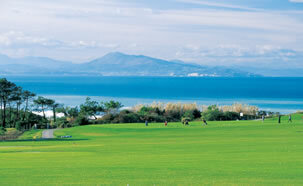 The Biarritz Golf Pass gives you the opportunity to play 2, 3 or 4 rounds with attractive prices. 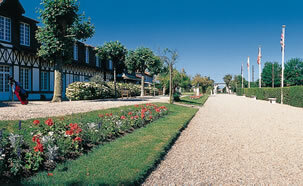 Valid for one year, you just need to contact one of the 4 golf clubs to book the courses.